Premise: A team of three contestants attempts to build their bank by each contestant playing two quiz rounds: the Cashbuilder Round and the Chaser Round. In the Cashbuilder Round, the contestant has 60 seconds to answer as many questions as possible, with each correct answer worth $5,000. 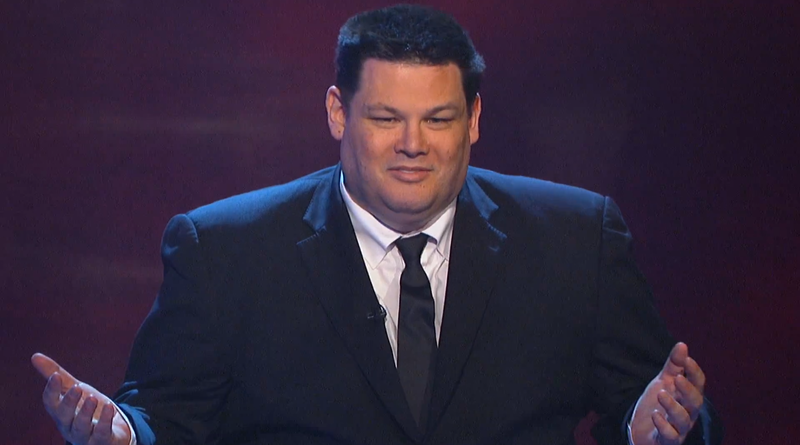 After the Cashbuilder Round, the contestants then compete against Mark “The Beast” Labbett in a head-to-head quiz round in the Chaser Round. 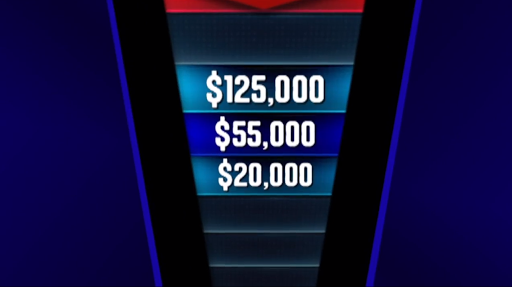 In this round, the contestant’s money won in the Cashbuilder Round is now placed three steps ahead of the Chaser on an eight-step board. The contestant is given the option to be placed either on that step to play for their original bank, one additional step ahead for a smaller reward (four total steps ahead) or placed one step behind for a much higher reward (two total steps ahead). The Chaser sets the cash reward offers. The object is for the contestant to move ‘home’ by reaching the bottom of the board before the Chaser catches them by answering a series of multiple choice questions correctly. A correct answer moves the contestant and/or Chaser one step closer, while an incorrect answer keeps the contestant and/or Chaser frozen at their space. If the Chaser catches a contestant before they reach ‘home’, the contestant is eliminated from the game and loses their winnings. If the contestant can reach ‘home’ before they are caught, their winnings are added to the team bank. The contestants who survived the Chaser rounds advanced to The Final Chase. In The Final Chase, the remaining contestants will have two minutes to answer questions to attain as many steps as possible. The team will have up to a three-step head start, depending on how many contestants are left in the game. The Chaser will then have two minutes to catch the team by answering questions correctly. If the Chaser answers any question incorrectly, the team will have a chance to add a step or send the Chaser a step back by providing the correct answer. If the Chaser can answer enough questions correctly to catch the team, the team walks away win nothing. Otherwise, the team wins their bank and splits the winnings among themselves if more than one person is on the team. Compared to ITV version, GSN took a slightly different approach to The Chase by adding more dramatic elements, from the show’s opening to the Chaser pausing before revealing his answers. 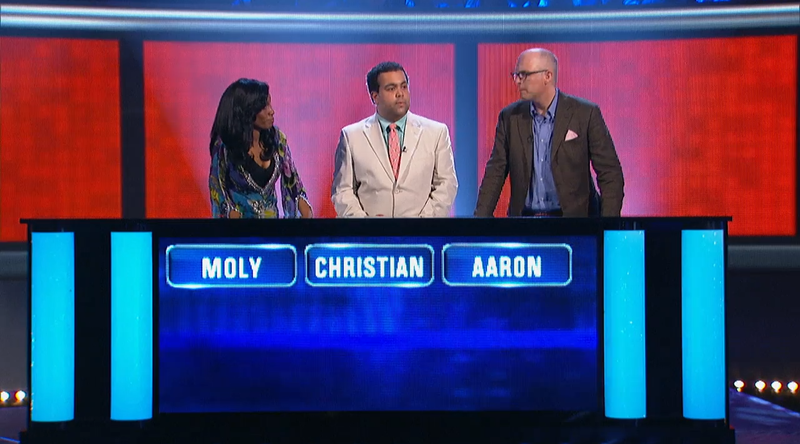 Nevertheless, GSN did a great job of bring The Chase to the U.S. This version pretty much stayed true to the original U.K. format, making necessary (and some unnecessary) changes where needed. Some of the improvements include an excellent upgrade to the set, adding the presence of a studio audience and the inflated dollar values. If you are a fan of the original series, watching contestants play for at least $10,000 in the Chase round will take some getting used to; but it is still exciting, nonetheless. I am also glad to see this version employ the same technique of casting a good mixture of contestants for each episode, as seen on the ITV version, to create a well-rounded, formidable team to face Labbett in the Final Chase, should each contestant make it that far. To be completely honest, I did not have a lot of faith in Brooke Burns when I first heard that she was going to be the host of The Chase. Although she seems to be rigid at times, she is doing a good job of hosting this series, bantering well with Labbett and the contestants and she also does an excellent job of reading the questions at a quick pace, as Bradley Walsh does on the ITV version. As good as The Chase is, there are a few elements within the show that could use some tweaking. The only problems I have with this version are the lack of more Chasers, using only three contestants per show and setting a fixed amount as the top prize. More Chasers: What made The Chase fun to watch on ITV was looking forward to which of the four masterminds was going to dash the contestants’ hopes of winning anything. It also added variety and little mystery to the show by leaving the viewers wondering who was the Chaser for the show? Would it be Shawn Wallace with his serious, all-business demeanor, Anne Hegerty with her cold-hearted personality, Mark Labbett with a big brain and an ego to match or Paul Sinha with his quick-wit to accompany his shrewdness? Each Chaser’s interaction with the contestants was different and always fun to watch. On the GSN version, there’s no mystery as to who the Chaser as Labbett is the only one for the series, which is not a bad thing. In fact, kudos to GSN for acquiring Labbett for the U.S. adaptation. It would add more personality and variety to the series if more Chasers were used for the show. A few articles ago, I mentioned that Ben Stein, Ken Jennings and Brad Rutter would be ideal candidates as Chasers due to their wide range of knowledge and immense success on game shows. Fixed “$250,000” Grand Prize: The main reason why the U.K. version did not advertise a specific grand prize amount and kept it vague by stating that contestants could win “thousands of pounds” is because the Chasers set the dollar values based on each contestants’ performance in the Cashbuilder round (and sometimes just to taunt them). Therefore, there is no way of knowing in advance the maximum amount a team could win on each show. In later promos, GSN advertised that contestants could win up to $250,000. The only way to back this is if all three of the Chasers offers add up to more than a quarter-million dollars. In the episode I viewed, the combined total of the three offers was only $230,000, $20,000 shy of the advertised offer. Although the total cash at stake is impressive, this does not do the show much justice by setting a specific cap on its grand prize. Overall, aside from the slightly slower game pace due to the three-contestant format, I’m glad that GSN made the move to produce this series and did not make too many changes to ruin it. Mark Labbett is still the same intimidating, overconfident mental powerhouse who can walk the talk as he does on the U.K. series and has no problem of letting everyone know why he is nicknamed “The Beast”. I believe a lot of people will be receptive to The Chase coming to the States and welcome the show with open arms, per se. We already know this show will be sticking around GSN for at least two seasons. I predict that The Chase will last for at least four seasons. It’s a bit of a bold prediction, but I have a lot of faith in this show. Watch new episodes of The Chase Tuesday nights at 9:00pm EST on GSN!